around $200) and getting video footage of villages and remote locations etc. up my dream of using it for video. the nicest footage from a drone I've ever seen! because, I'm not that patient with photographs. that people coming here could get an idea. come here with your toy and shoot tons of video! interact with it, chasing it, shying away from it. able to drum up a hobbyiest around here who will be willing to help me. If so, watch this space for some video tours! 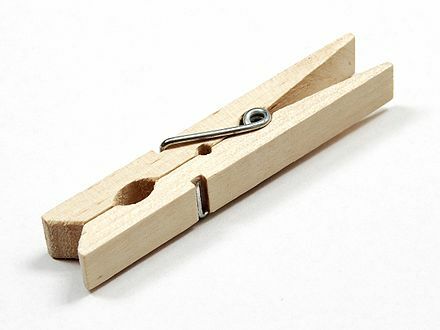 Have you ever seen an old movie or cartoon where someone puts a clothespin over their nose to keep out a bad smell? 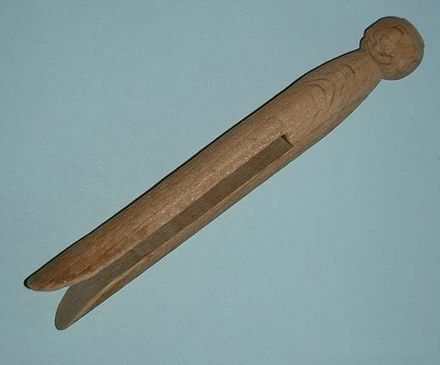 The only real improvement on the clothespin was in adding a spring, (later making them plastic may arguably be an improvement) Otherwise, this invention has withstood the test of time. If you think about how versatile the clothes-pin truly is you'd probably realize you have some use for it in your home. At least one or two. You may be surprised to know that we have dozens of them in our house, and we use it to put our clothes on the line in our back yard. We don't use a dryer (unless dire emergency) because it consumes costly electricity. Which gave me this idea…… I know that a lot of places in the world still use the clothespin. I also know that there are a lot of places that no longer do. So I came up with this challenge for the places that no longer do. Maybe your whole family can get involved? Every Church has some Global Emphasis week or month. (It used to be call 'missions month'). Maybe you can take up this challenge during that time. For 1 month, unplug your clothes dryer and don't use it. Instead run some low gauge rope in your back yard, and dry all of your clothes with the power of the sun. This will require hanging the clothes after they are washed, letting them sit out in the open to dry (maybe a horrible time of year for this if you have a lot of rain), taking them down, then folding them. It is more time consuming than throwing clothes in a dryer. It also means you're putting your clothing out there for anyone to see (if they look over your fence) and it means leaving them open to possible theft. While you do this, you are learning part of what daily life is for a large percentage of the world. You'd learning what our daily life is like, as well as the people we live and serve amongst. You'll learn that feeling of 'Nice, I can finally put my feet up after having done my morning chores…wait.. is that rain! FAMILY RUN! Get the clothes down!" You'll also save electricity bill costs. It'll take significantly more time than putting ice water in a bucket and pouring it over your head. It's true. But at the end of it, you'll have a deeper appreciation for one of the small adaptations in life that living where we do requires. For many people they already live like this. Some do so because it is more ecological, others do so because they live in environments with plenty of sun. But many across the world do so because modern conveniences don't work where they live, or are too costly. After the month is over, post about your experience and anything you may have learned? Did the challenge help you understand a new aspect of living in a different way or place? If you want to speed it up, you can forego the clothes line and just drape your wet clothes over bushes, or any surface not on the ground as many people do in this country. My next challenge would be the 'sliced bread' challenge. Have you ever heard the phrase "The greatest thing since sliced bread?" How much bread does your family use in a week? Imagine that sliced bread… hot dog buns, hamburger buns, sweet rolls, ALL bread, had to be made by hand. That you didn't have sliced bread, you didn't have toast… unless you made it from scratch and sliced it by hand. How much time and effort would you spend each day, just making sure your family had bread? Or would you adapt and remove bread from your diet? How would you adapt? And how happy would you be when you could finally buy sliced bread again? If your church is having a Global Emphasis week, consider doing one of these challenges with your kids. Thankfully, where we live, we can buy sliced bread now, but it wasn't always so. We can't however, get buns easily. So for us, having hamburgers, or any kind of special sandwich requires bun making first.